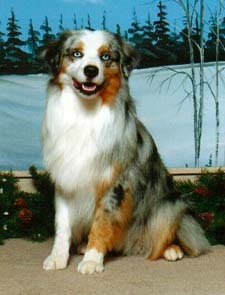 Mr. Bowie Wicketed @ 16.5" & is Paw Print Genetics tested & clear for 9 genetic diseases, as well as prelim'd good for hips. 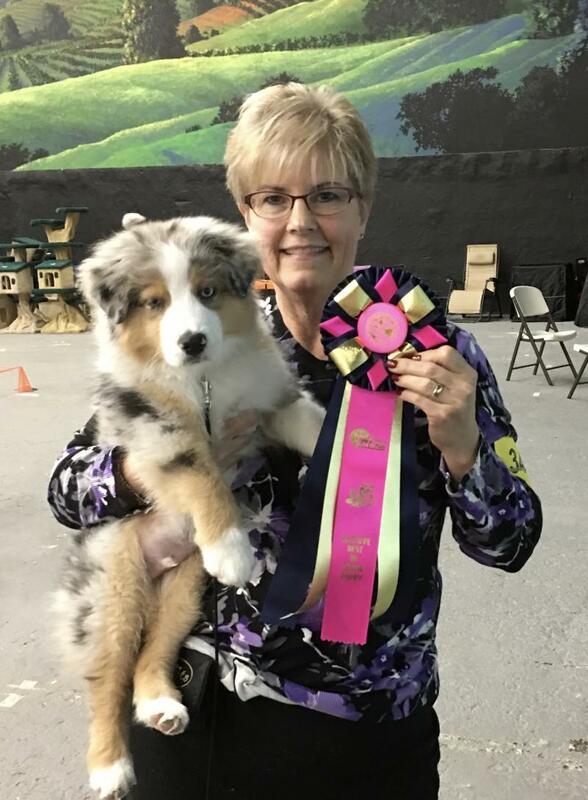 Mr. Bowie @ his 1st Reserve Best in Show Puppy, January 2017. He was also awarded the People's Choice! ﻿﻿ Barons is a handsome, laid back beautiful guy. 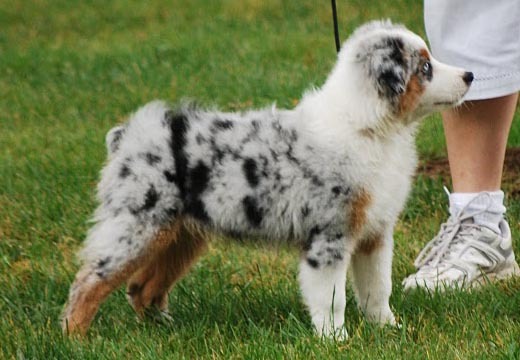 He finished several CH's at the ripe age of 7.5 months and also received 2 Best in Show Junior Puppy awards! Not only is Barons striking, he is a wonderful dog to live with. He is loving and biddable. Barons has now sired several litters and has produced beautiful puppies. Grayson-Bear and Logan are two examples. Eyes CERF'd - clear yearly (2013); OFA hips & patellas: "good"; Cardiac: Normal; MDR1 - M/N, HC: n/n, PRA/PRCD: normal/clear; CEA/CEAH: normal, clear; full dentition, scissors bite. Barons is the son of Ch. Gottabe's Comet in Action & CH. Passion's Gottabe the Charmed One and has several generations of clear eyes and OFA "good" or "excellent". He has an awesome temperament and is a big love. I have retired Barons and he & Ava are living the life of luxury with Loye and Stan. He is still available for stud. 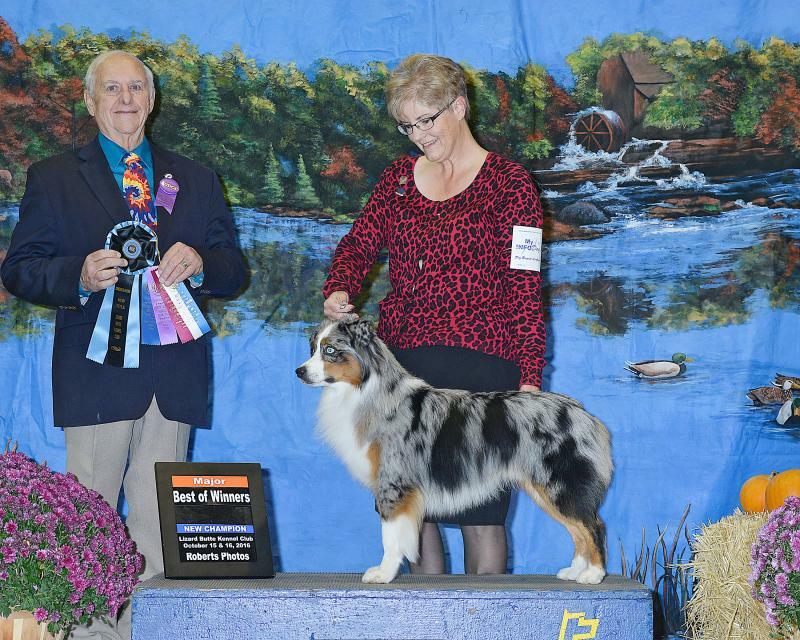 Gottabe's Dressed to the Nines, CGC "Finn"
Owned and loved by Kris Wolfram of Willamette Mini Aussies. 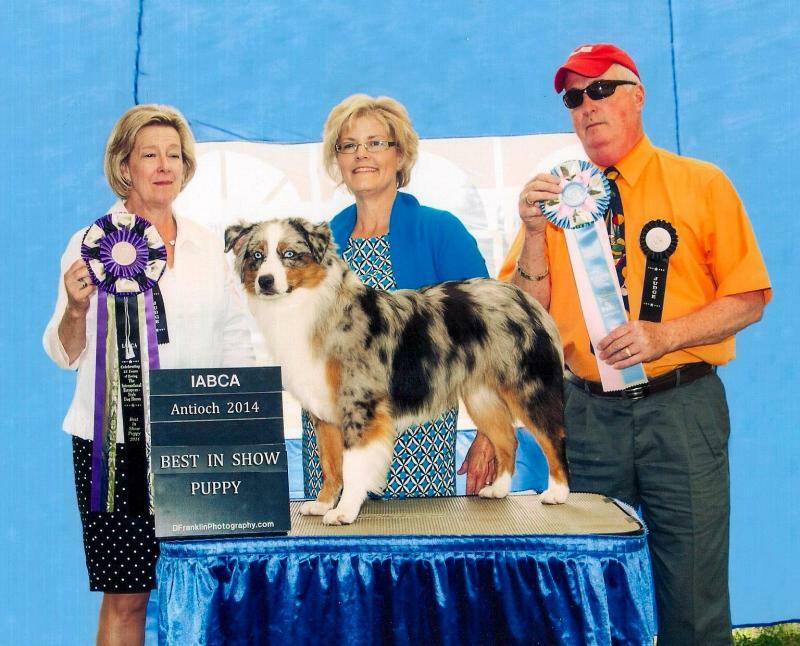 He started his show career in 2012 with a bang, taking 3 Best In Show Puppy awards from his very first show in NAKC. His sire is NOAA (above) and his dam is Fergie. 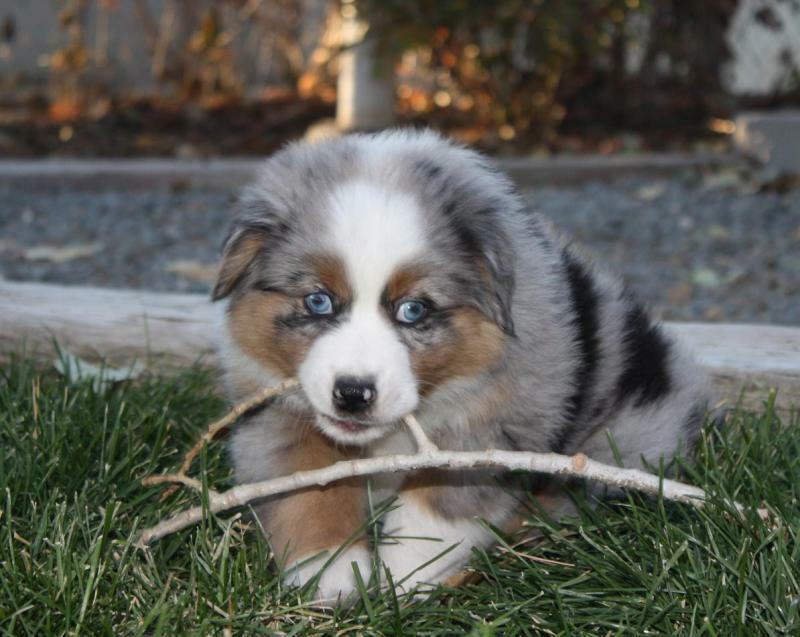 Finn has also entered the herding arena. 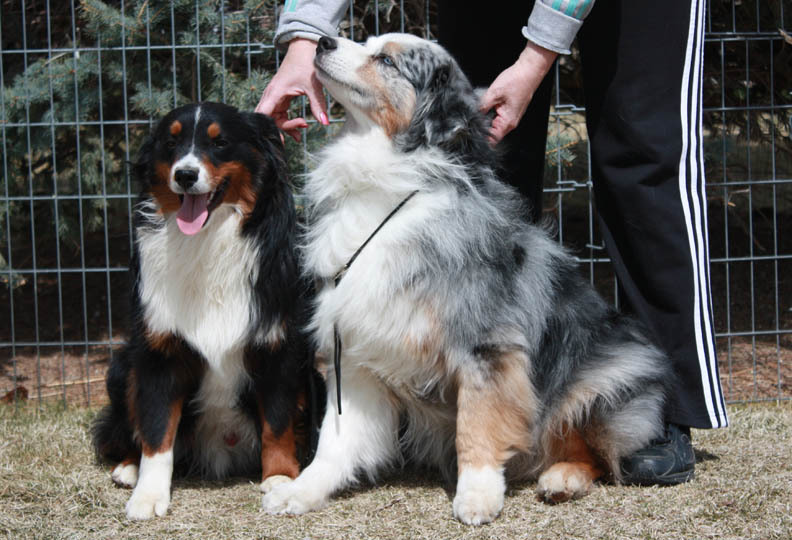 In addition, he sired my last litter with Ava (2013), and the puppies have outstanding temperaments! 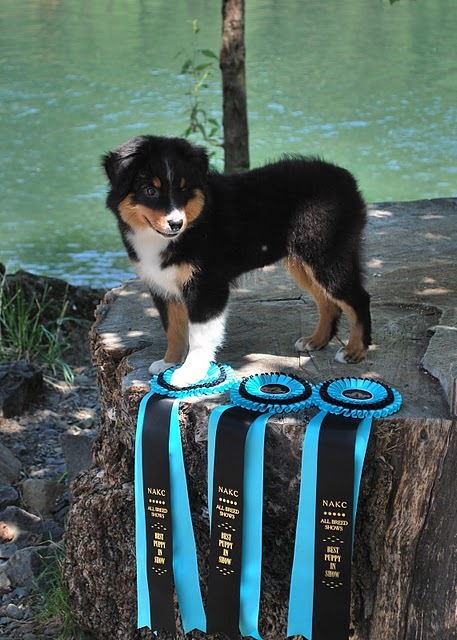 Finn started his show career in 2012 with a bang, taking 3 Best In Show Puppy awards from his very first show in NAKC. His sire is NOAA (above) and his dam is Fergie. NOAA is a very nice small black tri boy (16.5" wicketed). He is pictured here with his grandfather Freckles . 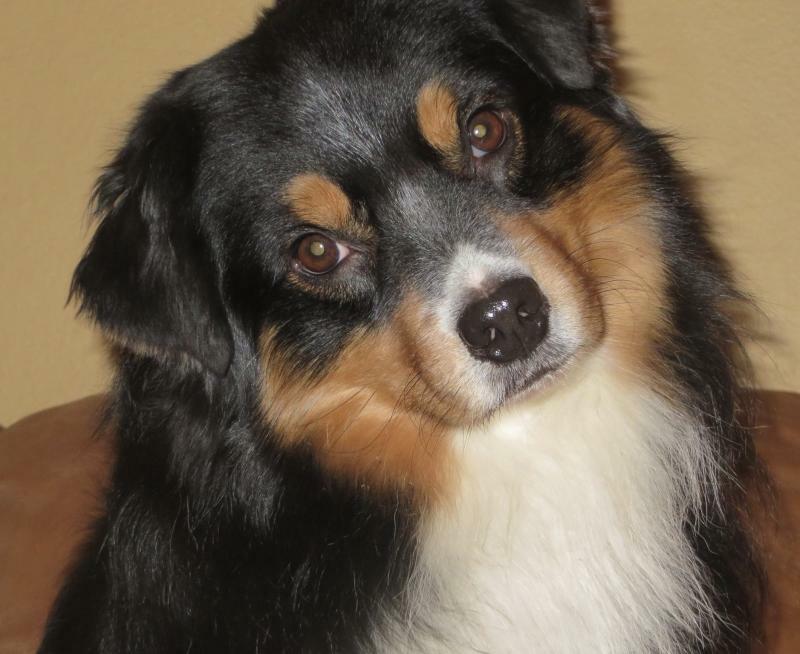 He has his father's beautiful coloring (Passion's Gottabe Fly'n High, "Jett"), and is a bit of an imp. He loves playing with his half-bro, Barons, who takes NOAA's play in stride. 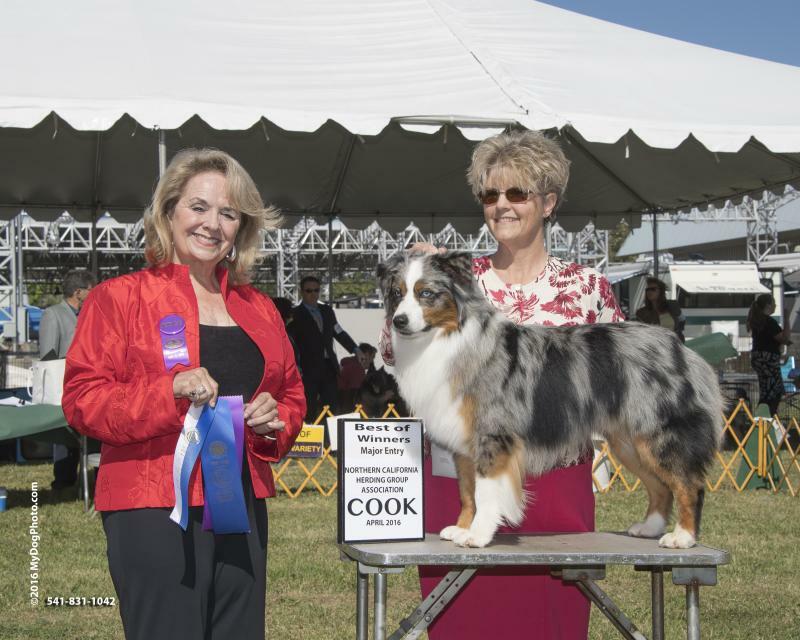 NOAA finished 3 of his titles at just 1 year of age and placed Best of Opposite at the National's preshow, October 2011. 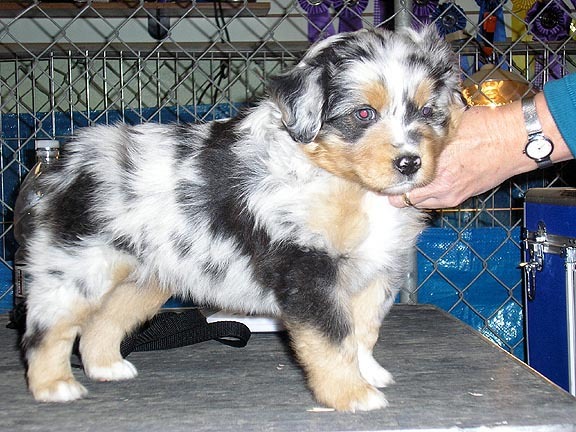 NOAA has sired several litters and has placed his temperament on several of his get - Finn below is a son of NOAA . NOAA is AKC-registered. "Freckles" was Gottabe's first homebred mult. Championed dog. 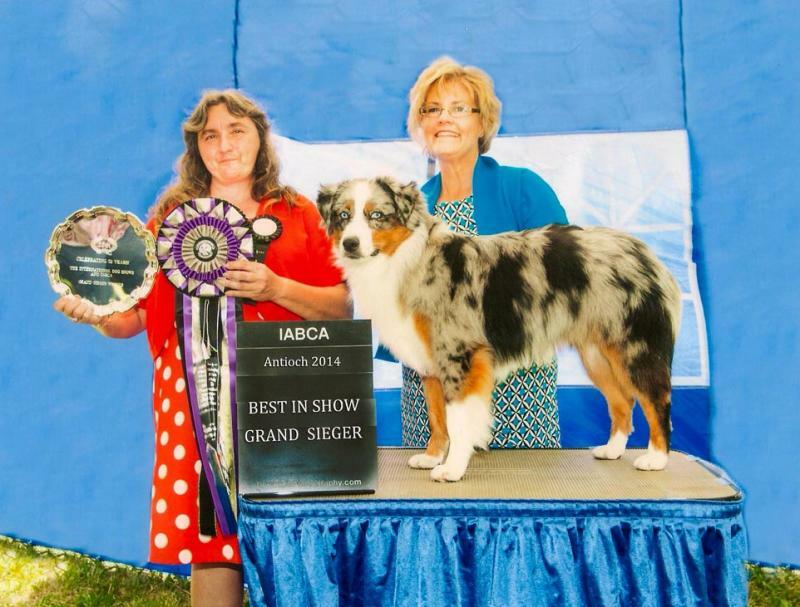 He exceeded all of my expectations - he was the first mini UKC CH., he was the first MASCA grand champion, and he sired the first mini aussie litter born in the UK (see Jessica's page). Freckles has earned his place in mini history. 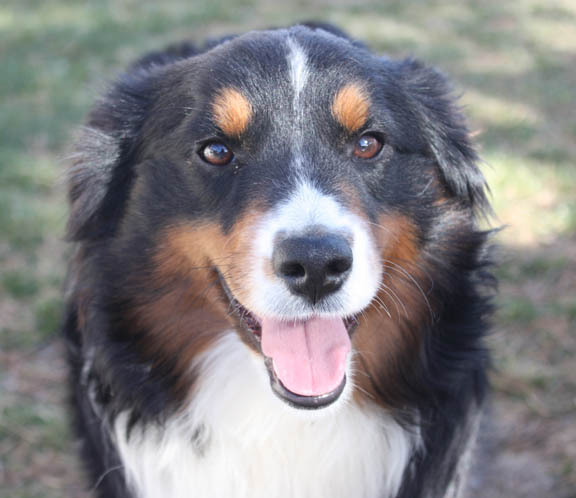 In October of 2009, Freckles suffered a fibro-cartilaginous embolism, a stroke in his spine. He was completely paralyzed on his right side. Through the generosity of my friend Sherry Roach of Crystal Peak (thank you Sherry!!) and our determination, Freckles became completely mobile. Though had a "skip" in his step, he had little paralysis. Freckles was also UKC registered; OFA: Good; CERF: clear (at 9 years of age); MDR: M/N; full dentition, scissors bite. 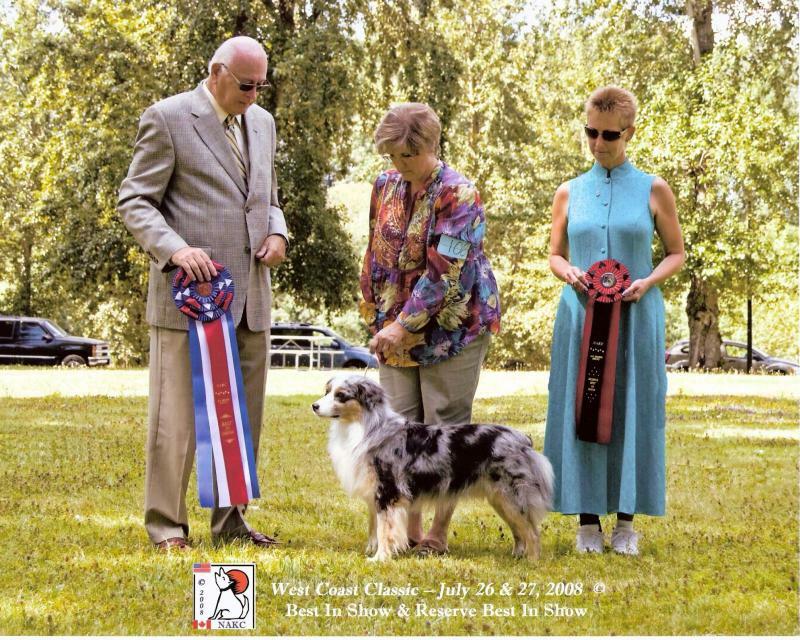 Freckles has sired many titled offspring in conformation, obedience, and agility in the US and UK and we have collected him.We are saddened to report that we lost Freckles May 9, 2012- we miss him soooo much!!!! In. Ch. 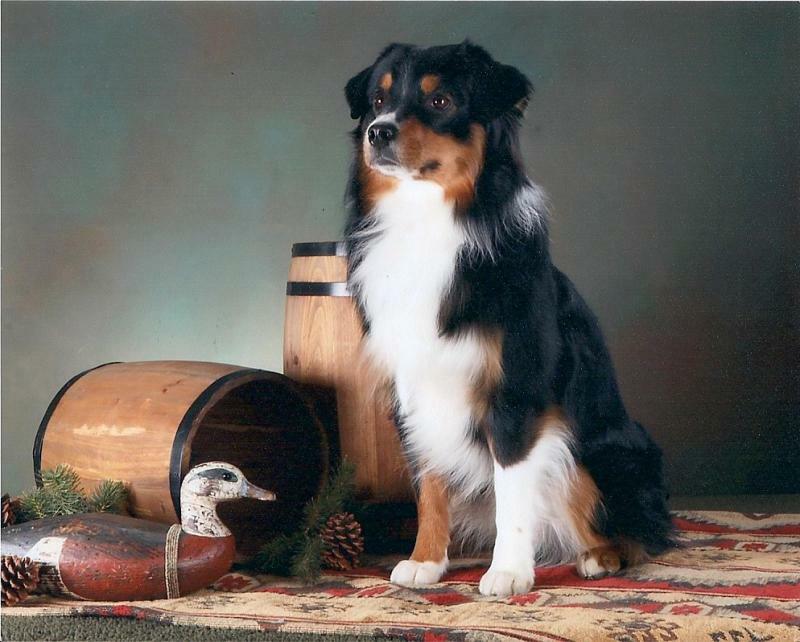 Gottabe's Got To Your Destiny, "Cedar" - Loved & missed by my family Cedar has been collected. 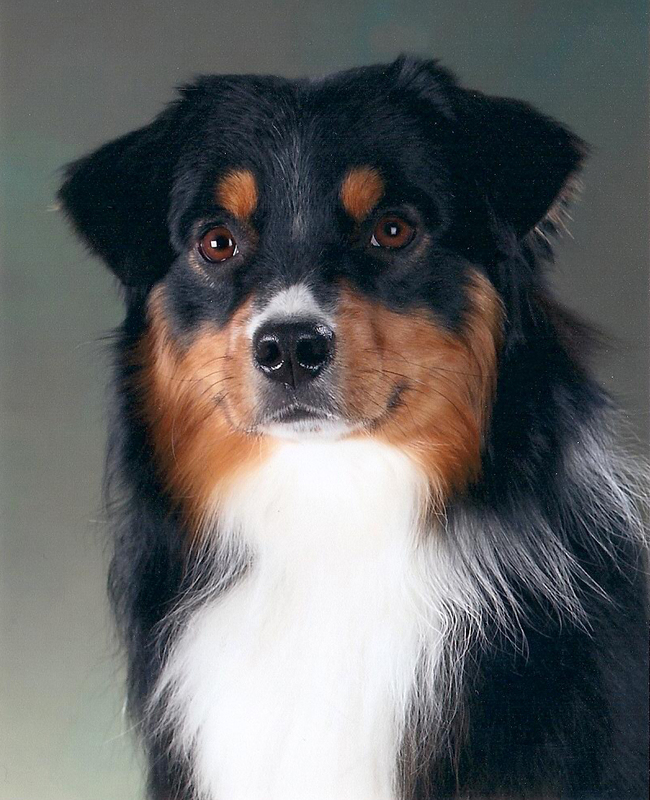 We lost Cedar this past December, 2010 to cancer. 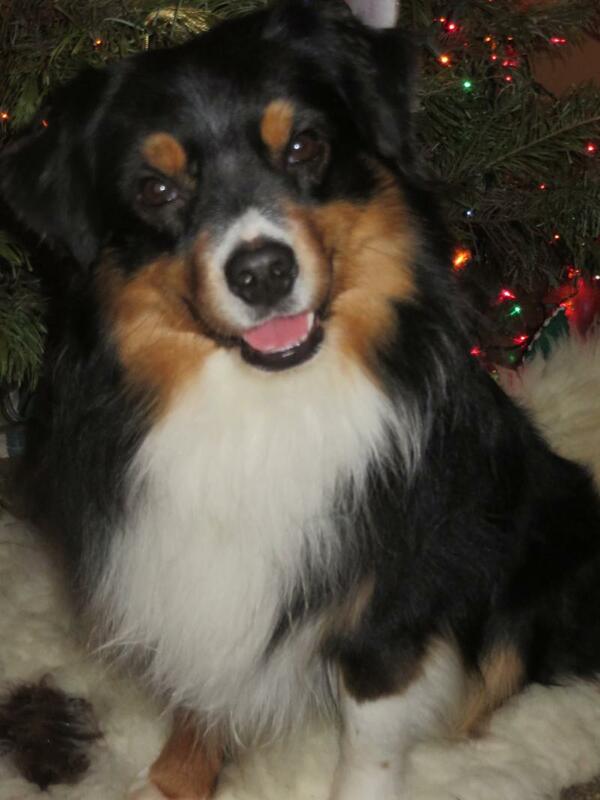 He is on my Males page because he was an integral part of my breeding program. 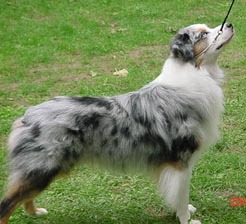 Although his showing was limited, he has produced many champions (CH. Gottabe's Tri Your Best Shot, CH.Twin Pines Tagalong to Timber, CH. Twin Pines Storm Warning at Gottabe, & Gottabe's on to Your Destiny, to name a few). 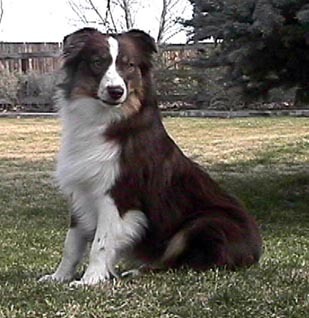 Cedar has been used on larger aussies, and each breeding has dropped the size. Although we no longer have Cedar, he has been collected and I have a limited number of breedings, UKC registered; OFA: Good, CERF: clear and MDR: N/N, full dentition, scissors bite. Int. 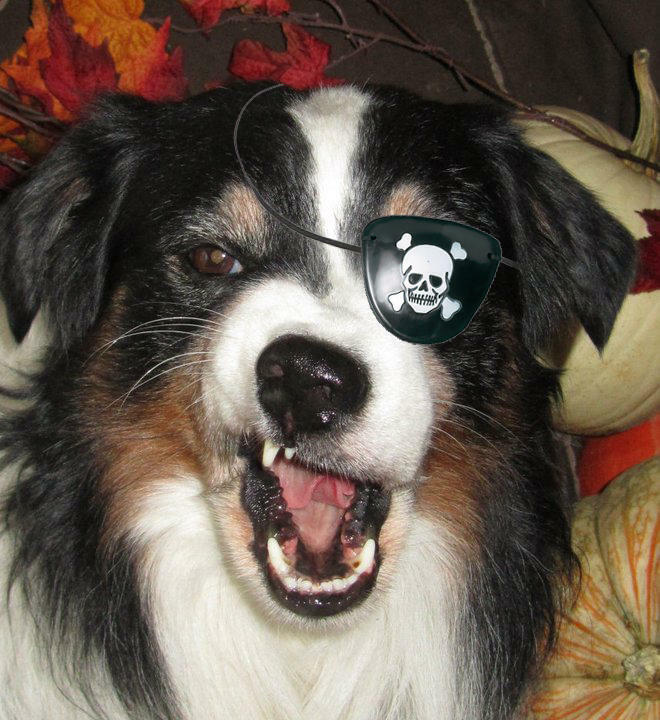 CH, Major-pointed Passion's Gottabe Fly'n High, "Jett"
Ahoy me mateys! Don't be lilly-livered!! Get yourself a Gottabe dog or I'll make you walk the plank! !Passion's Gottabe Fly'n High, "Jett" (a "Freckles" son) sport'n his Halloween Costume. 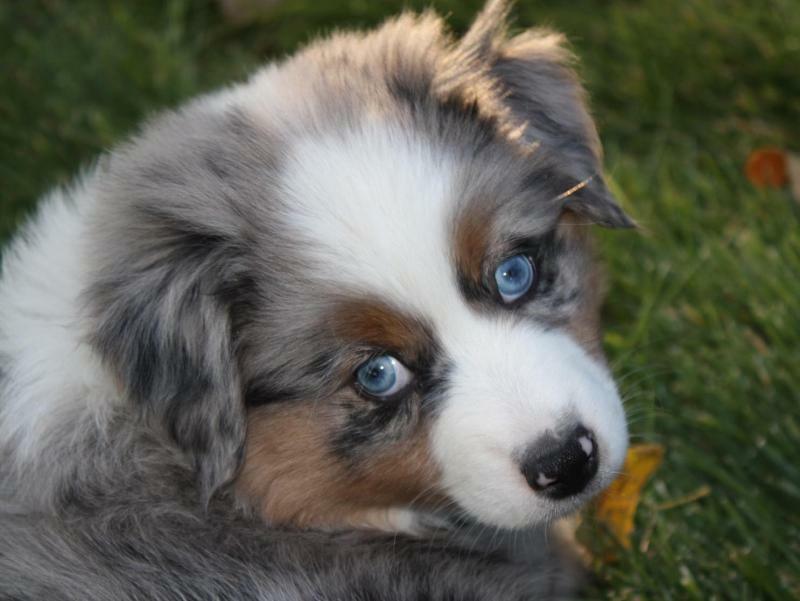 And, Owned and loved by Kris Wolfram of Willamette Mini Aussies. Jett is also the father of NOAA (above), uncle to Barons, and the brother to Mult Ch. 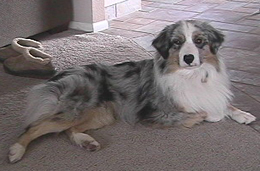 Passion's Gottabe the Charmed One, and has has placed his wonderful temperament on his puppies. ﻿﻿Has get on the ground in both the show and performance ring. 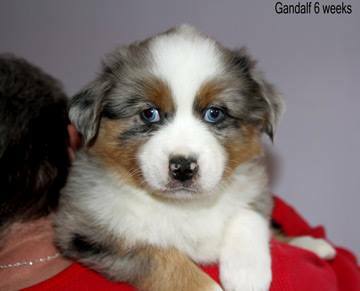 Also produces blue-eyed pups. 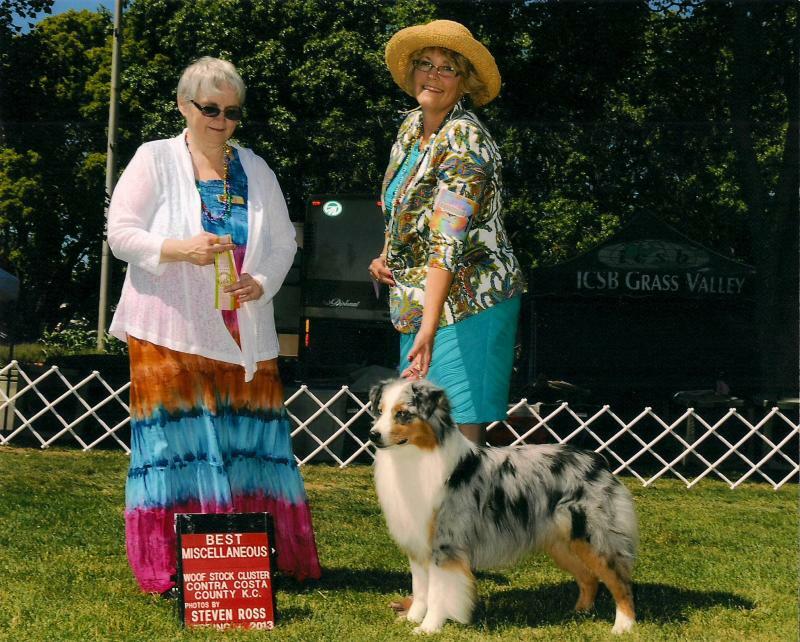 Stirling winning not only Best in show Puppy, but the coveted Jane Rippolo Grand Seiger Award!!!! 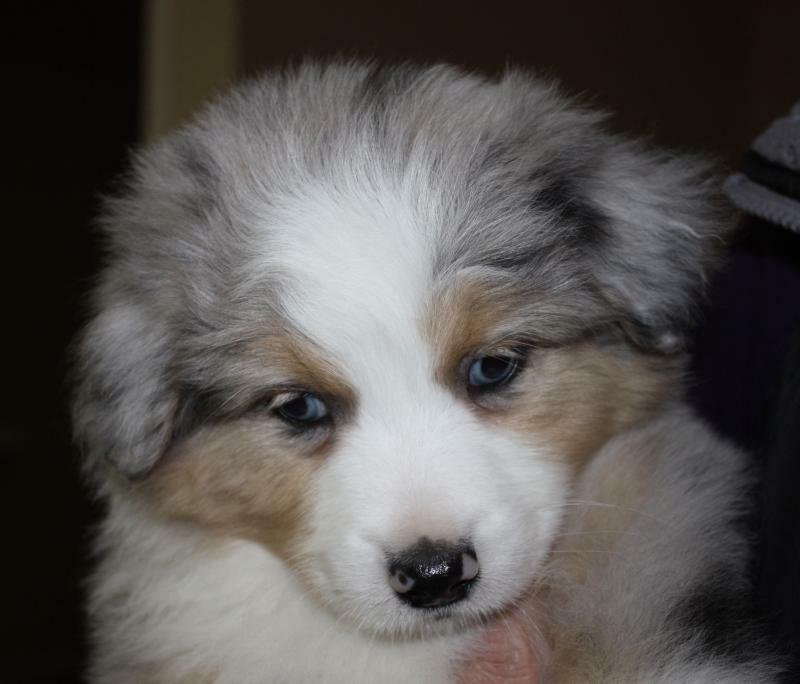 Stirling is a "Barons" son and is out of the Barons/Zoya cross from Sapphire Mini American Shepherds. He has an awesome temperament (well, the whole litter had awesome temperaments - great job Mary!) and even though I was not going to come home with a pup, I just fell in love. 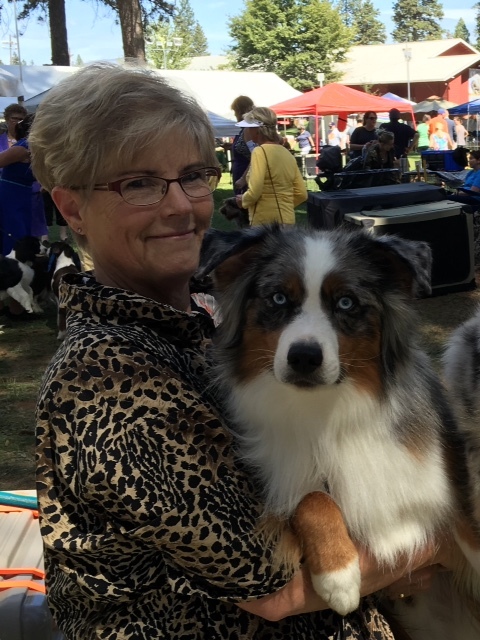 He just finished his AKC thru limited showing (I've been having fun taking a cruise and doing more camping. Time to get serious I guess :) ﻿, and has already received his UKC championship. He is ALWAYS owner handled.